Global foreign direct investment (FDI) flows fell by 23 per cent to $1.43 trillion. that inflated FDI numbers in 2016, the 2017 decline remained significant. 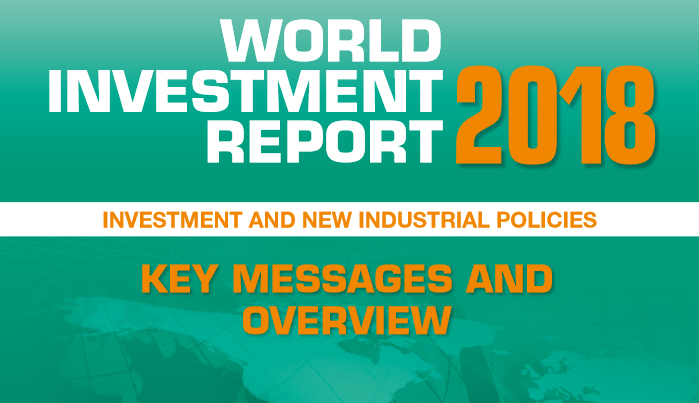 The value of announced greenfield investment – an indicator of future trends – also decreased by 14 per cent. FDI flows to developing economies remained stable at $671 billion, seeing no recovery following the 10 per cent drop in 2016. • FDI flows to Africa continued to slide, reaching $42 billion, down 21 per cent from 2016. The decline was concentrated in the larger commodity exporters. • Flows to developing Asia remained stable, at $476 billion. The region regained its position as the largest FDI recipient in the world. • FDI to Latin America and the Caribbean rose 8 per cent to reach $151 billion, lifted by that region’s economic recovery. This was the first rise in six years, but inflows remain well below the 2011 peak during the commodities boom. 2016. The strong decrease in inflows was in large part the effect of a return to prior levels in the United Kingdom and the United States, after spikes in 2016.
commodity prices would normally point to a larger potential increase in global FDI in 2018. However, risks are significant, and policy uncertainty abounds. Escalation and broadening of trade tensions could negatively affect investment in global value chains (GVCs). 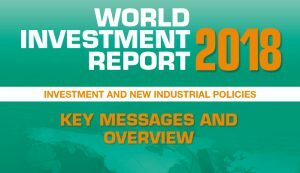 In addition, tax reforms in the United States and greater tax competition are likely to significantly affect global investment patterns.